Home Addons 6 Reasons YOU Should be Using PowerGlobalSearch Be the first to comment. PowerGlobalSearch is one of our most popular PowerPack CRM Add-Ons for Dynamics 365. Individuals who are not familiar with the robust functionality that PowerGlobalSearch has to offer, often ask the question: “Why do I need PowerGlobalSearch, when I can just use the out-of-the-box global search?” If you have ever asked yourself (or a co-worker) this question then this blog post is for you! Here are the top 6 reasons why YOU should be using PowerGlobalSearch! One of the biggest reasons why people love using PowerGlobalSearch is the ability to select which entities will be searched. While the out-of-the-box global search in CRM limits the number of entities you can search, PowerGlobalSearch allows you to search any of your entities. After selecting a specific entity, users can choose which fields within that entity they would like PowerGlobalSearch to search. This feature allows you to search only the form fields that are relevant for your organization’s searching needs. Once PowerGlobalSearch has worked its magic and your search results are displayed, use the filter tool to narrow down your results even more. You can filter records that are being searched by status (active, inactive or both), or by the type of record: Lead, Case, Opportunity, etc. Notice that the Filter also displays how many records have been loaded for the search performed! Save time, and clicks, in your CRM by configuring the PowerGlobalSearch reading pane to view only the information that is relative to your business needs. This feature allows users to see a summary of each record without having to navigate away from the search results. PowerGlobalSearch uses paging to show all available search results, without bogging down your CRM. By default the solution shows the first 25 results of each entity. Don’t see the record you are looking for in the results pane? Simply click the Load More button at the bottom to load the next 25 results for each entity. PowerGlobalSearch also allows you to create an activity for an entity record right from the search results. To add an activity to the record, simply select the record and then select the activity type from the PowerGlobalSearch ribbon. Simple as that! Like all of our PowerPack CRM Add-Ons, PowerGlobalSearch is free to try for 30 days, so see for yourself how awesome this solution is! 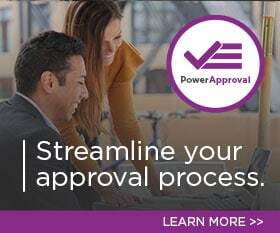 Download PowerGlobalSearch today and start your free trial! by Joe D365	February 20, 2017 Be the first to comment.